Get rid of the junk you don’t want to see on Facebook with F.B. Purity! New: Added hiding the “What your friends are watching“, “Shows From Facebook Watch” and “Continue Watching on Facebook Watch” boxes to the hide “Watchlist” option (located under the “Hide Right Column Links” heading on the FBP options screen. New: FBP now permanently saves your video volume preference, to avoid Facebook setting it back to max volume each time you open a new video. Fixed: Newsfeed filtering, in some instances FBP’s filtering stopped working completely due to a Facebook code change. This is fixed now. Fixed: “Show Log Out Button” option, this option had stopped working due to a Facebook code change, it should work ok again now. Its also worth noting that I’ve upgraded the security on the FBPURITY.COM website so it uses HTTPS by default, so you can be sure your downloads from this site have not been tampered with. The FB Purity extension for Opera is now initially installed from this site via the “Inline” install method which actually sideloads the extension from the official Opera extensions website. Once it has been installed in that manner or via the Opera extensions site itself, whenever updates to the FBP extension are uploaded and approved on the Opera extensions site, the version of FBP in your browser should auto-update at some point. It can sometimes be triggered by closing the browser, waiting a bit and re-opening it, there is also an “Update Extensions Now” button on the Opera extensions management page. For those who don’t already know, FB Purity is a safe, free and top rated web browser extension for Google Chrome, Firefox, Edge, Safari and Opera . It lets you clean up the junk and customize Facebook the way you want it to be. It has many cool features, such as hiding all the ads, alerting you when friends un-friend you, letting you change the site’s colours, fonts and background image, it lets you stay on the “Most Recent” feed permanently and lots more. 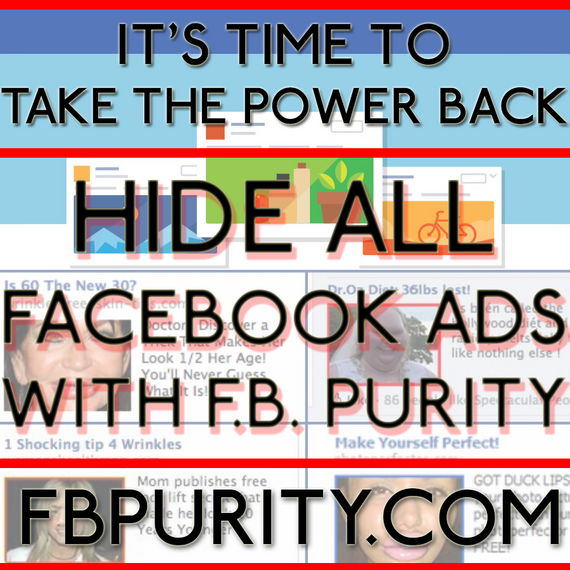 FB Purity has been reviewed and highly recommended in many places including the Washington Post, CNET, PCWorld, MacWorld, GetConnected etc and has over 430,000 users worldwide. This entry was posted in Facebook, FB Purity and tagged automatically stop up next, block all facebook ads, block facebook ads, block facebook applications, chronological notifications, clean up facebook, customise facebook, Customize Facebook, disable autoplay videos, disable up next, FB Purity, FB Purity Update, FBP, FBP Update, fluff busting purity, hide facebook watch, hide facebook watchlist, hide sponsored posts, hide sponsored stories, hide suggested posts, kill up next, newsfeed filtering, remember video volume, save facebook video volume, save video volume, sort newsfeed by most recent, sort notifications chronologically, stop up next, stop up next automatically, store video volume, up next. Bookmark the permalink. How does FBP save the video volume? How do I set it? I’ve been waiting for this for months! whenever you change the volume on a video, fbp saves that volume level, so the next time a video is opened it updates the volume to the previously saved level.